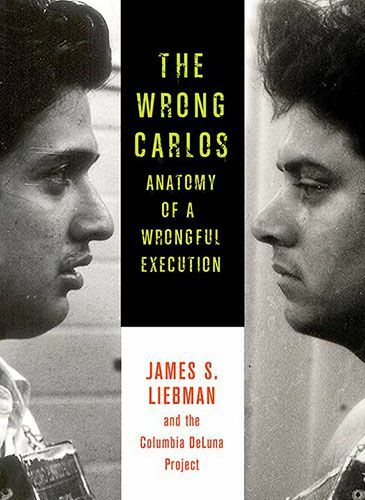 The Wrong Carlos "uncovers evidence that Carlos DeLuna, a poor Hispanic man with childlike intelligence who was executed in Texas in 1989, was innocent," according to the book’s website. Sixteen years after Texas, which holds the country’s most active death chamber, executed De Luna, the Chicago Tribune published a three-part investigative series uncovering evidence that strongly suggested that a man named Carloz Hernandez was the one who murdered Lopez. The series was based on a comprehensive investigation into De Luna’s case by the Columbia DeLuna Project led by Liebman. The Tribune interviewed Hernandez’s relatives and friends who recounted how "the violent felon repeatedly bragged that De Luna went to Death Row for a murder Hernandez committed." Scalia stated, "[There has not been] a single case – not one – in which it is clear that a person was executed for a crime he did not commit. If such an event had occurred… the innocent’s name would be shouted from the rooftops." Stevens, while referring to Scalia’s comments, said, "But now I think Jim (Liebman) has found a case that one cannot deny." In advocating for abolishing the death penalty, Stevens said, "I think it’s a sufficient argument against the death penalty… that society should not take the risk that that might happen again. Because it’s intolerable to think that our government, for not really powerful reasons, runs the risk of executing innocent people."